The popular cliche among parents is that playtime is all fun and games til someone gets hurt. Normally this is some sort of remark about moderation or knowing your limits or minimizing the risk involved in your entertainment, but the truth is that everyone has one or two pastimes that help define them and the things they enjoy. Some are sports fans, fitness junkies, cooks, or other things that entertain and interest them more than other things. If you’re reading this, you’re probably a gamer, and tabletop gaming of some kind might occupy that role for you. I’ve rarely had as much fun in any setting as I’ve had playing an intense or comical role-playing game with close friends. The characters and their interactions, the unique stories, or the chance to plan battles and missions and see them....well....mostly collapse like sand castles at high tide. But still exciting, still fun, and still great memories with good friends. The truth is, I’m a very serious roleplayer. I like those intense emotional moments that test our heroism and loyalty. I like when PCs are part of something special together. But I can’t turn down a little silliness every now and then, and I would say most of my friends are a little more relaxed than I when it comes to the story-telling. So with silliness (and an impassioned plea for the underused d12), I proudly present you all with our humor-infused April product, Four Horsemen Present: More Comedic Character Options. In my time as a player, gamer, designer, and developer I’ve made very special, lifelong connections. I’m fortunate to not only get to play Pathfinder and other roleplaying games, but to design fun new rules and learn from other designers I admire. Gaming is always fun, but now working on the game and its rules is part of the fun, too. It’s literally all fun and games! RPG design, hosting convention events, and marketing is fun for me, but it’s also very busy work, and life sometimes intervenes. Fortunately, some of those great connections we’ve made since putting the Horsemen together in 2014 allow us to work with new designers and publishers. Since building one’s career with fun products and new contacts is also fun, we’re going to begin having guest designers bring you products through the Four Horsemen presents line. These products will still focus on our monthly themes, and allow us all to enjoy the genius of some very good new talent in the RPG industry. We’re also planning the encounters for the third annual Four Horsemen Open at Gen Con 50. We know this year Gen Con will be an incredible show, and almost certainly have its highest attendance ever. Big shows need lots of events, sowe invite you and your friends to join us for our team advancement tournament, where our publisher friends offer amazing prize support and your table is run by someone we can personally vouch for as your GM. 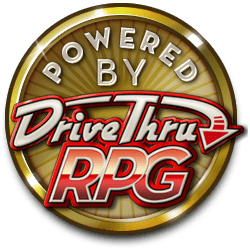 We commit fun adventures, interesting characters, challenging encounters, great stories, and absolutely the best selection of GMs of any organized event. So come join us at Gen Con 50 in Indianapolis and see if you can survive the rigors of A Cold Wind Blows. As we resume regular posts on the Four Horsemen Blog, I really look forward to next week. You’ll get to know our new friend and designer Kendra Leigh Speedling as she presents a new class that is sure to bring lots of laughs (but can still get it done in combat), the mountebank! Until next time, remember that neutral evil is the very best evil.